For this update of the Works List, the continuing assistance of Eric Marinitsch at Universal Edition is acknowledged. At Mr. Pärt's request, a number of his compositions were removed from earlier versions and this allowed us to concentrate on confirming the accuracy of the Performance list. It is still hoped that, in the near future, we can revisit the Works List from a "historical" viewpoint but if, in the meantime, you require further information on any of Arvo Pärt's works, please feel free to e-mail me at the address below. UE numbers indicate that the scores are sale items, available through your local music store. Orchestral material is only available on hire. For hire conditions contact UE Vienna or its representative in your country. 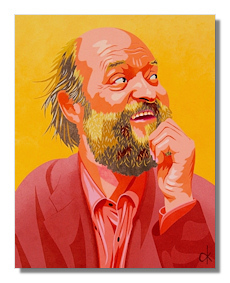 The Works of Arvo Pärt is compiled by Doug Maskew with Eric Marinitsch. An den Wassern zu Babel sassen wir und weinten, Psalm 137 Originally titled "In Spe". (1976) 4 voices and instrumental ensemble. Only the vowels of the Latin text are sung. (19??) Version for SATB chorus and string quartet. (1998) Soprano and orchestra. Sung in Spanish. Text from Psalms 42 & 43. (2000) arrangement of Como anhela la cierva for soprano, female choir and orchestra. (2004) Vocal ensemble. Sung in Latin. see "Wenn Bach Bienen Gezüchtet Hätte"
see "An den Wassern zu Babel…"
see "Sarah Was Ninety Years Old"
see "Es sang vor langen Jahren"
Sarah Was Ninety Years Old (Originally titled Modus). see "4 Easy Dances for Piano"
Copyright © Doug Maskew and Universal Edition, 1997-2005.